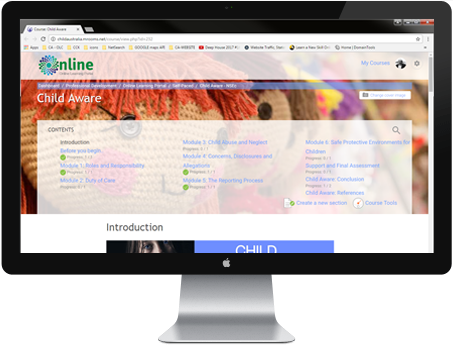 Child Australia’s online courses offer an expanding digital library of online self-paced courses. These courses suit: educational institutions, schools, child care settings and parents. 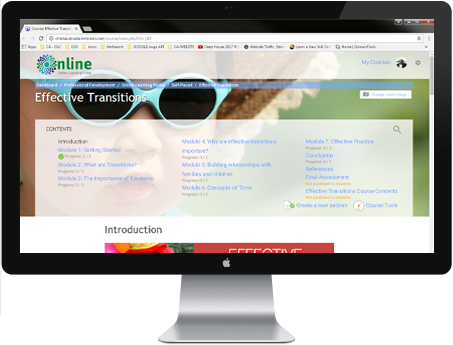 Our self-paced courses are completed within your own time! You may participate and work through the materials in the way that best suits you and your lifestyle. There is a peer-to-peer chat cafe to extend and share your knowledge and minor review questions to complete the course and embed learning. A Certificate of Achievement is awarded on completion of each course. 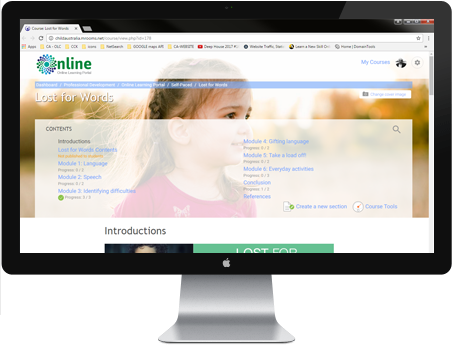 The Lost for Words: Understanding speech and language Online Self-paced Course aims to provide an overview of children’s language and speech development. It explores the difference between language and speech, as well as typical development of language and how to identify children who may have language difficulties. Strategies for supporting language development in children will be explored. Describe the differences between speech and language. 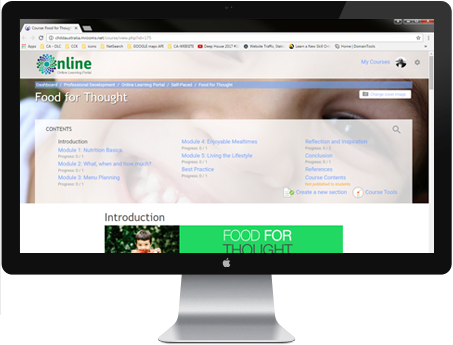 Understand the typical progression of speech and language development. 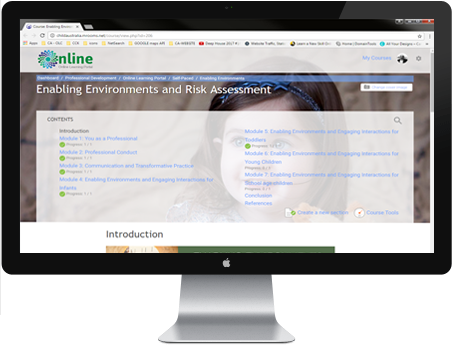 Use the tools provided to identify children who are experiencing difficulties with speech and/or language. Use some general strategies for supporting language development in your everyday work. Set age-appropriate activities to encourage speech and language development. Detailed self-enrollment instructions will be provided upon receipt of payment as a downloadable PDF. A unique enrollment code will also be available to you on screen and in an email with receipt of your order.